After a multi-year absence, captive-bred Wideband Clownfish, Amphiprion latezonatus, make a triumphant return to the marketplace. Clownfish have long been among the most popular fishes in the marine aquarium trade. Due to advances in technology, along with a better understanding of the process, the supply of cultured clownfish has grown exponentially in the past 10 years. Several commercial farms grow thousands of these fish for the U.S. market every year. Now, a very rarely seen species (either wild or cultured) is at Quality Marine! 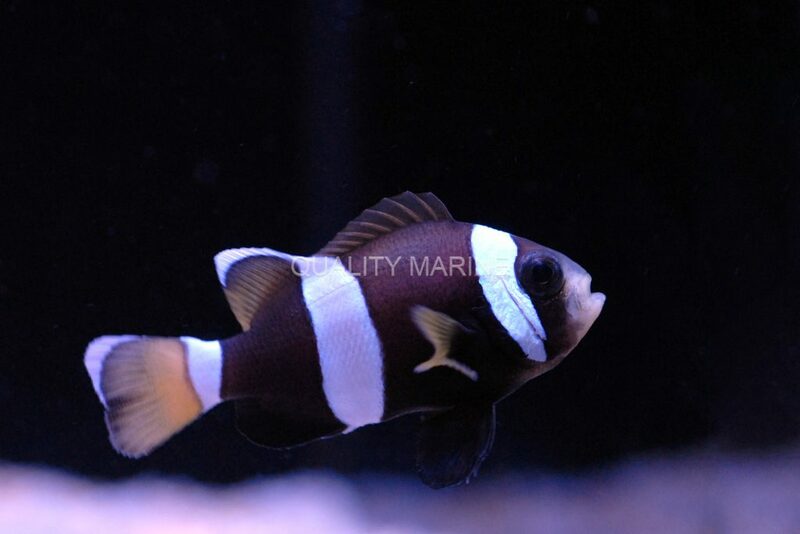 We are excited to announce the arrival of aquacultured Wideband Clowns (A. latezonatus), after not having them available in any way for over two years. Wild, 9-cm. Amphiprion latezonas photographed by Dr. John Randall off Norfolk Island. Courtesy Fishbase.com. CC by NC. Note distinctive blue “lipstick” pigmentation. The Wideband Clown is found in the waters surrounding Australia. They commonly inhabit coral reefs at depths of up to 45 meters. Their primary food source is small zooplankton, and they also graze on various types of turf algae (mostly to clean rocks for spawning). 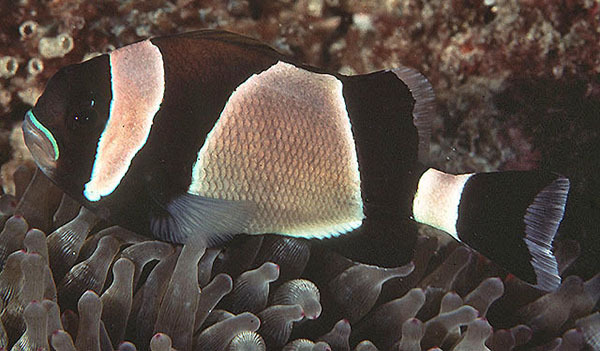 Like most clownfish the Wideband is known to create symbiotic relationships with anemones (Heteractis crispa), which they use as a source of protection. Clowns are one of the hobby’s great aquarium residents, being both active and notoriously hardy when obtained from a reliable source. Aquacultured specimens are even more reliable. 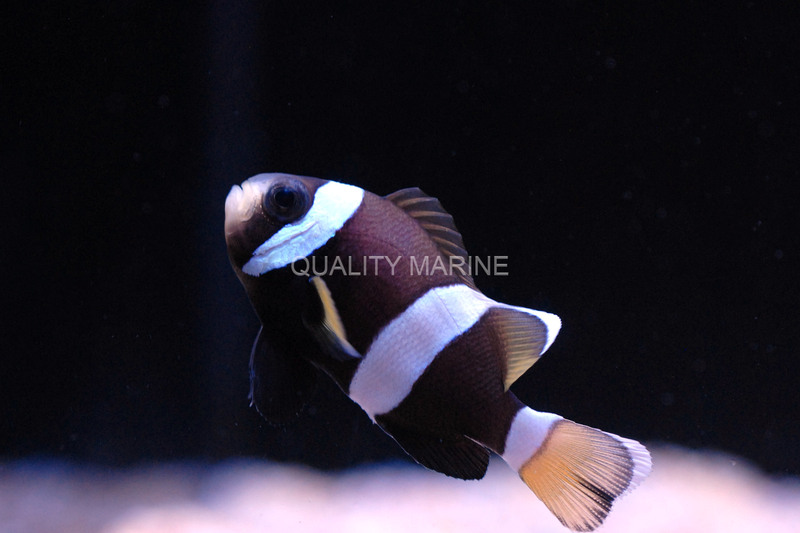 The Wideband Clownfish is an omnivore and will eat a variety of foods, from frozen enriched brine and Mysis, to pellet and flake foods. Use caution when adding multiple specimens to the same tank unless they are a mated pair because, like many clowns, the Wideband can be aggressive. Juvenile Wideband Clownfish are a rare sight; the yellow caudal fin changes as the fish mature. Choosing aquacultured specimens is an excellent sustainable option for any aquarium, one we support and recommend whenever possible. 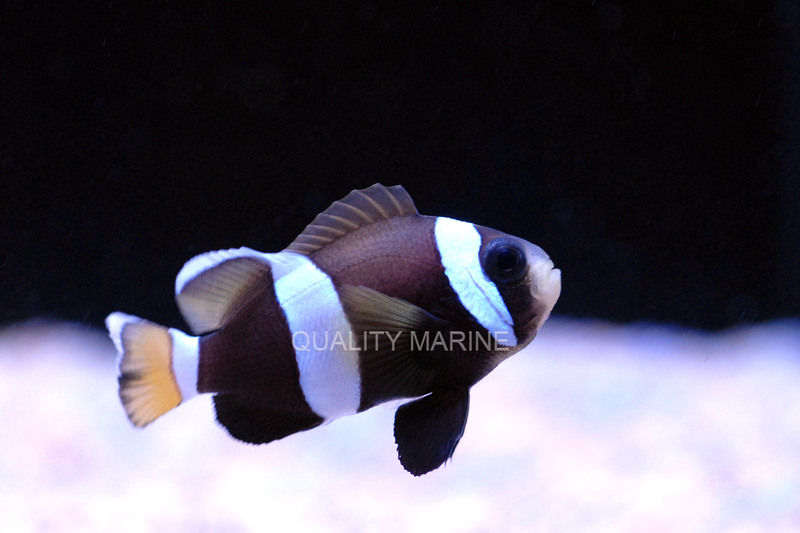 Quality Marine is proud to have the aquacultured Wideband Clown available for our customers. These clowns are a magnificent option, not just for their rarity and appearance but being aquacultured, these fish are also accustomed to captive conditions, eating processed foods and very used to positive human interaction. They can grow to over 5 inches, making for a spectacular display when they reach adulthood. Celebrating over 35 years in business, Quality Marine continues to provide the aquarium industry with the highest quality and widest selection of marine fish and invertebrates. Learn more at www.qualitymarine.com.